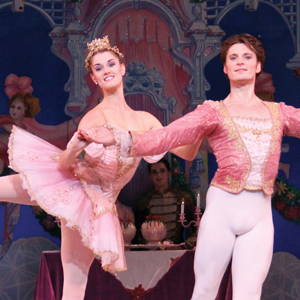 School of Richmond Ballet alum and current Richmond Ballet company dancer Valerie Tellmann and Kirk Henning as The Sugar Plum Fairy and her Cavalier. Richmond Ballet company dancer Valerie Tellmann remembers checking the casting list five times before it really sank in that she was going to dance the coveted role of Clara in The Nutcracker. 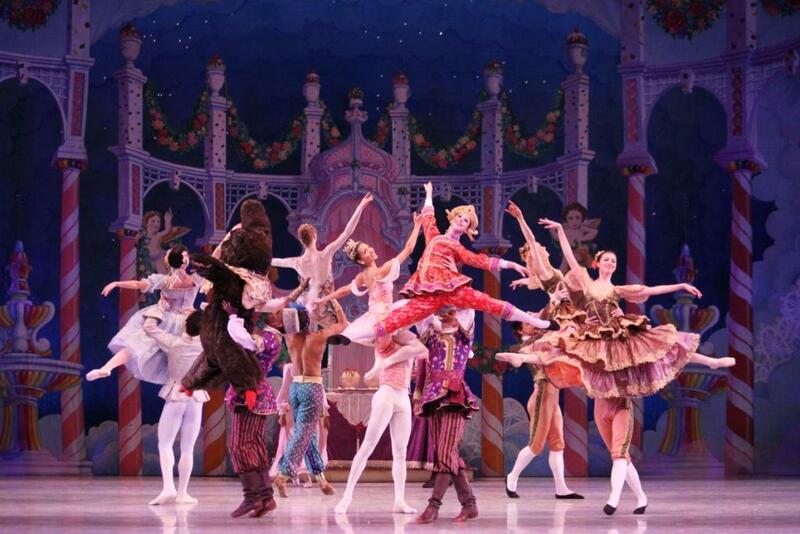 The holiday season in Richmond wouldn’t be complete without Richmond Ballet’s grand production of The Nutcracker. The legendary ballet has become a holiday tradition for countless families in Richmond, and now also Norfolk. Putting the massive ballet together is a tremendous undertaking – one that starts in September when the school’s director, Judy Jacob, pulls out the show’s music and choreography. Jacob has danced in the show and worked with the production for more than twenty years. Keeping up with dozens of children and making sure all goes smoothly during the production is a Herculean task for Weger. She handles everything from hair mishaps to wayward children. “We have little things happening all the time,” she says. 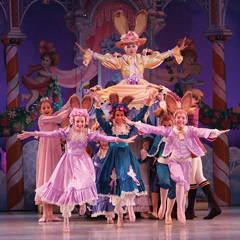 Little bunnies emerge from underneath Mother Ginger’s skirt in Act II of Richmond Ballet’s The Nutcracker. Blair Bigelow, who served as wardrobe manager from 2005 to 2013, is also a backstage regular. “The most challenging part of the show is the sheer volume of costumes we have in our production, close to 250,” she says. 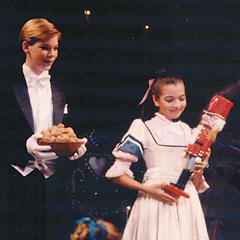 Maggie Small as Clara holds tight to her nutcracker. Dancer Maggie Small as the Snake in the Arabian Dance. She also left a lasting memory for her fellow dancers when she danced the role of Snow Queen and it began to snow outside of the theater during the scene. “Valerie ran to the window and yelled ‘I did it. I made it snow!’” Small says. Just as it has for those of us in the audience, The Nutcracker has left lasting memories for all of the dancers who have appeared in the production over the years. “A lot of dancers who have retired have said one of the hardest things for them is not doing The Nutcracker,” Tellman says. Rebecca Weger, the official child wrangler, (aka school manager) can understand that feeling. “It just wouldn’t be Christmas without The Nutcracker,” she says. 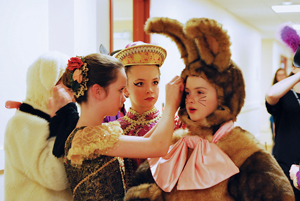 School of Richmond Ballet students apply finishing touches as they prepare to take the stage as Dolls in the Battle scene of The Nutcracker. This season marks the fortieth anniversary of The School of Richmond Ballet, which was founded in 1975, nine years before the creation of the professional company. Tara Penick, the school’s middle division principal and coordinator of ensembles, has witnessed the growth of the teaching institution since she started in 1997. The majority of Richmond Ballet’s professional dancers – three-quarters to be exact – have received a portion of their training through the The School of Richmond Ballet. Other graduates have joined companies across the United States and around the world. One of the school’s most famous graduates is Philip Neal. Now retired, Neal was a principal dancer for the New York City Ballet for more than twenty years. Alum Dominic Hodal is currently dancing with Staatsballett Berlin.